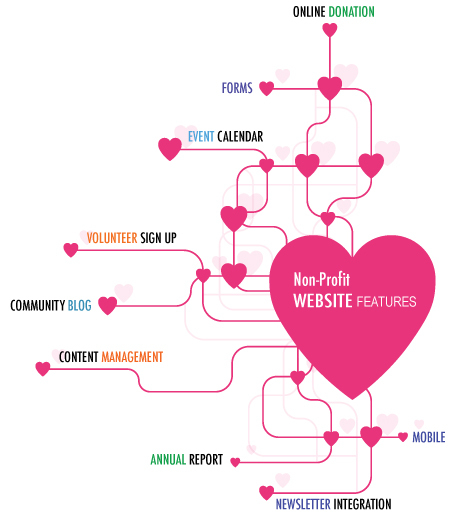 Non-profit organizations have unique challenges, but they also need the same quality web design service and SEO support that businesses do. When we help non-profits with web design and development and online marketing, we take pride in getting to know our community and supporting good causes. 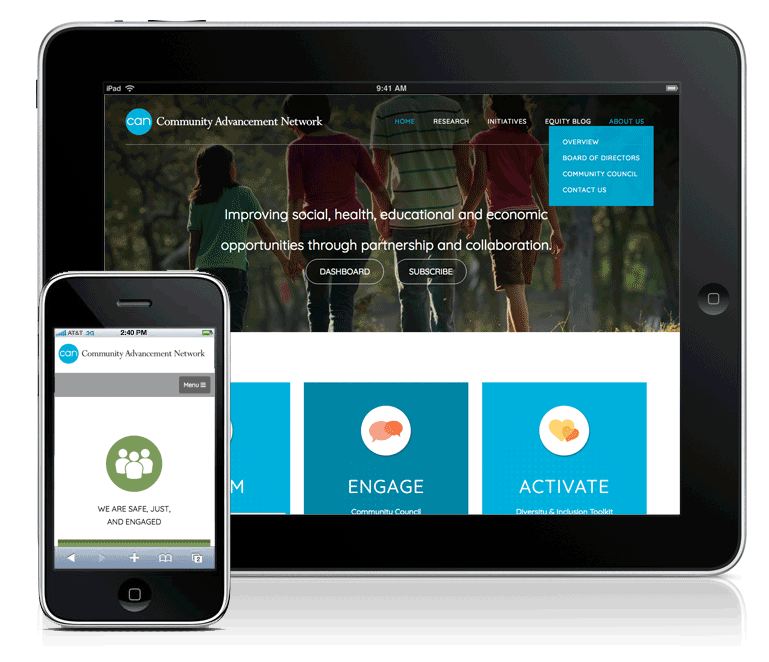 Our experience in creating dynamic websites helps these organizations thrive. We want to learn more about your goals! Contact us for a free consultation. Community and service organizations are often trying to reach multiple audiences, including donors, volunteers, and the people they serve. Sending a consistent message to so many different people is a big challenge, not to mention maintaining a user-friendly website and keeping up with search engine marketing standards. We have experience with features that benefit these organizations by making them more efficient and providing tools to help them grow initiatives. How can we help your organization? Contact us for more information about our web services. Working with non-profits is one of our favorite things, because working with our communities is so rewarding. Our employees have served on non-profit boards and volunteer regularly for local causes. Our web development team has also contributed to projects for state and local agencies and departments under the University of Texas and Texas A&M. Some examples of our clients include: The Pflugerville Fire Department, Community Advancement Network, The Lady Bird Johnson Wildflower Center, Capital IDEA, Texas A&M Forest Services, The Texas Board of Professional Land Surveyors, Travis County Water Control District 17, The Pflugerville Education Foundation, The Rotary Club of Austin, Central Texas Hunter Jumper Association, elementary schools, and high school sports programs.